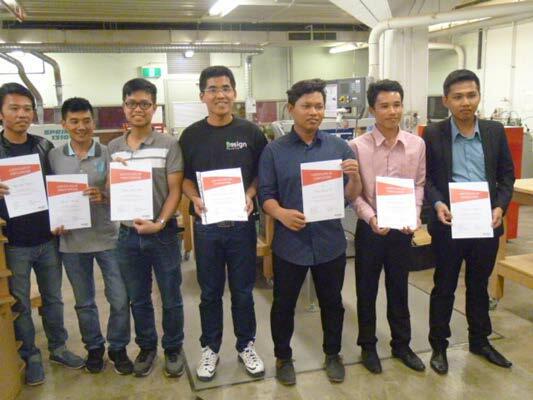 The Crawford Fund recently supported an intensive one week training course on furniture design for four young designers from Laos and Vietnam. 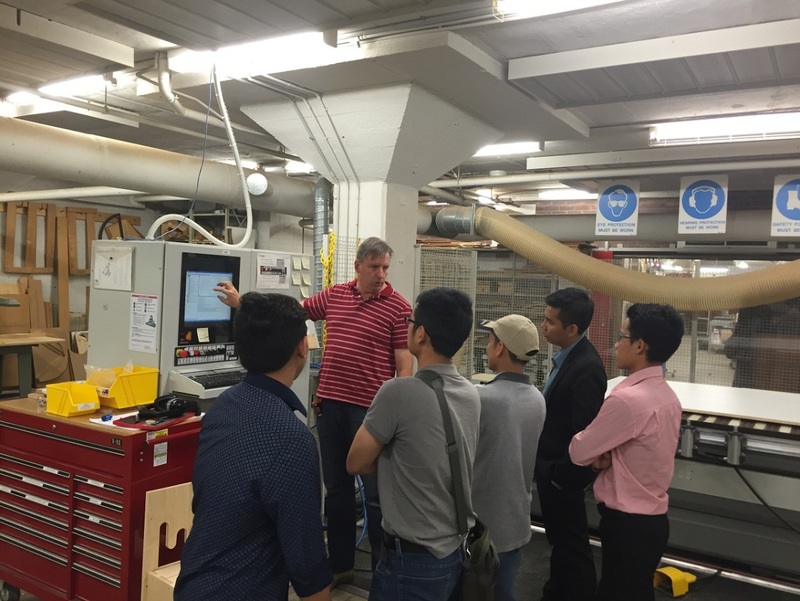 The aim of the training, held at RMIT University’s School of Architecture and Design, was to teach the participants about the principles of sustainable furniture design and provide them with general knowledge in the design methodologies of the modern furniture manufacturing industry. 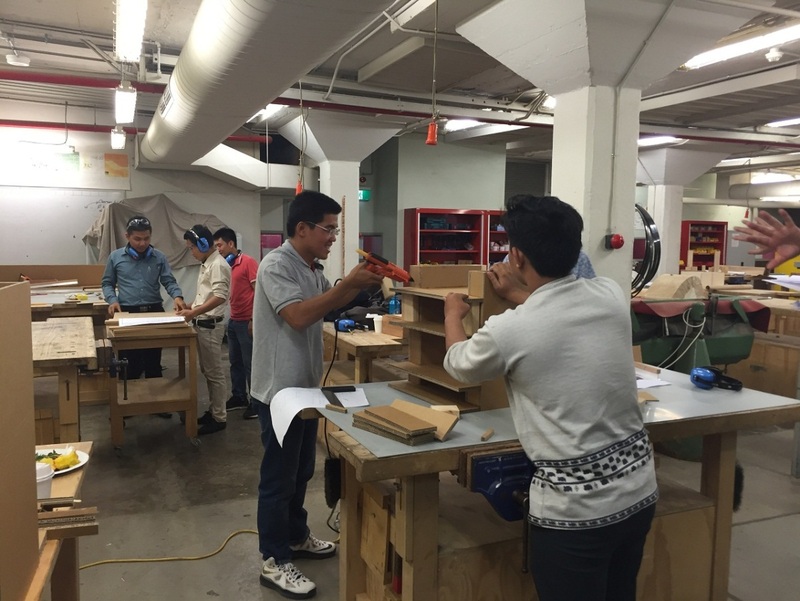 The course provided participants with both theoretical and practical knowledge of sustainable furniture design. They learnt about the total design process from the conceptualization of the product to the production of prototypes. They experimented with solid wood, veneer and wood composites such as particleboard, medium density fibreboard and plywood. Mr Ted Hayes (Crawford Fund Victorian program) and teachers of RMIT University with the participants and English interpreters at the completion ceremony, RMIT, Melbourne. The participants were actively involved in the training activities, undertaking various design tasks with great enthusiasm and asking many questions. The trainees were very satisfied with the training and stated that they were privileged to have an opportunity to gain new experience and knowledge from Australian experts in furniture design. 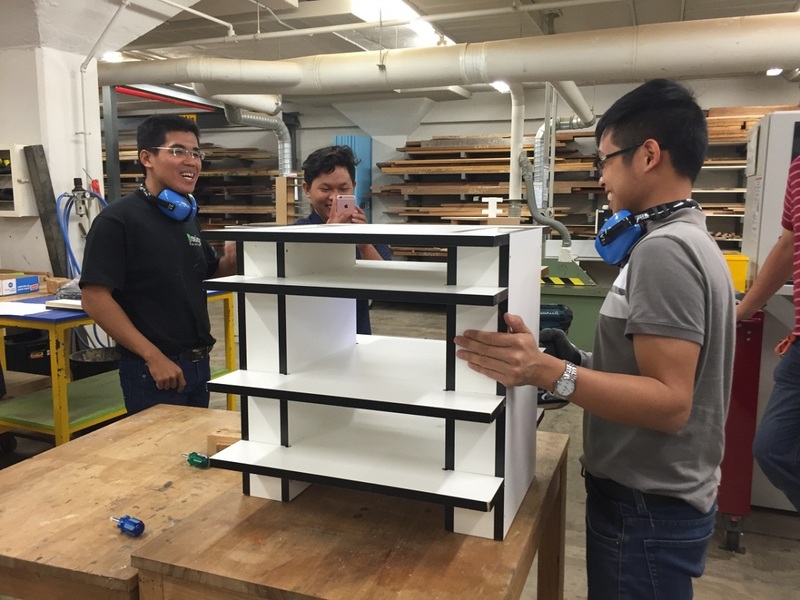 “I have learnt a lot about a fundamental principle of furniture design,” said Dang Truong Vu, a recent Vietnamese graduate with a major in furniture design. “I also learnt about a new topic to me which is an environmentally friendly product design which is usually ignored in furniture design in Vietnam but is very important. I will definitely try to introduce green design concept in my country,” said Dang. The training provided a significant contribution towards two ACIAR funded projects in Laos (Enhancing key elements of the value chain for plantation-grown wood in Lao PDR) and Vietnam (Improving veneer products from plantations in Vietnam and Australia).